Neumann University is recruiting students to learn hacking — for the power of good. The school launched two new degree programs in the fall of 2018: cybersecurity, and data science and analytics. While companies recognize the need for protection against cyber threats, the lack of qualified cybersecurity professionals who understand and can mitigate these risks poses an ongoing privacy concern. In recent years, Target, Home Depot, eBay, Equifax, Sony, Yahoo and Marriott have all experienced high-profile data breaches. The centerpiece of the curriculum is a state-of-the-art data analytics lab. 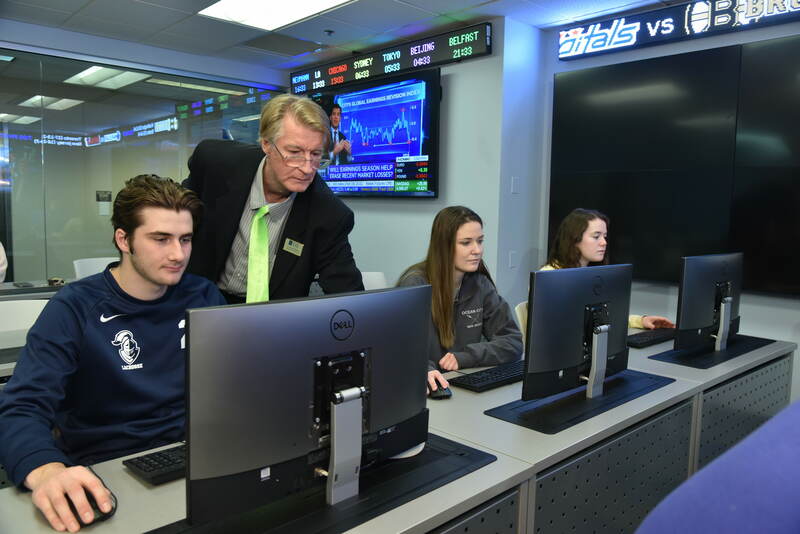 Opened on January 9, the lab features glass classroom walls, a stock market ticker, mounted TVs with stock information, three 75” instructional high-definition screens and rise-display monitors at each desk. The workspace also includes a server lab, with three servers that can operate on or off the university network for hacking simulations. During their capstone class, cybersecurity majors will be assigned roles in simulations where they will have to defend the servers from classmates posing as hackers who seek to sidestep system defenses and obtain data. Neumann University’s degree in cybersecurity will give students a background in network security, operating systems, cryptography, incident response, secure programming, vulnerability analysis, social engineering, governance and risk assessment. Career opportunities for graduates include security analyst, security architect, network security analyst, security systems administrator, IT security consultant and many others. Data science and analytics is one of the fastest growing fields in the United States, which also offers some of the highest paying jobs in the tech sector. Neumann’s major provides students with a background in statistics, computer science and mathematics, along with the critical thinking skills necessary to analyze large, complex data sets. Coursework includes computer programming, database systems management, and data analysis. For more information about the cybersecurity and data science and analytics majors, visit www.neumann.edu.